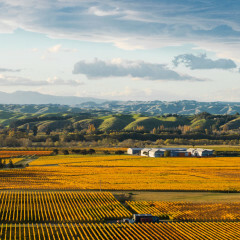 Craggy Range’s Gimblett Gravels vineyard is a specialist vineyard for the production of red wines from the Bordeaux red varieties and Syrah. Within the companies single vineyard philosophy only one other very small vineyard exists for producing these wine styles, confirming the company’s belief in the unique characters of the GIMBLETT GRAVELS WINE GROWING DISTRICT. The land has a strong and distinctive history. 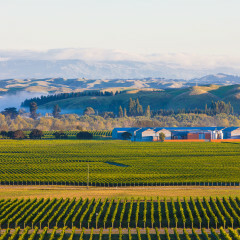 After years of ownership and use by the Gimblett family as a winter paddock for their cattle and sheep, the property was purchased in 1987 by an international concrete company and destined for a gravel mine and quarry. 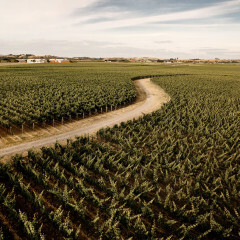 A vigorous defence of the lands viticultural potential by local vignerons thwarted their efforts, which were declined twice by legislative authorities.The company gave up its efforts to mine the land in 1997 and offered the land for sale by public tender. 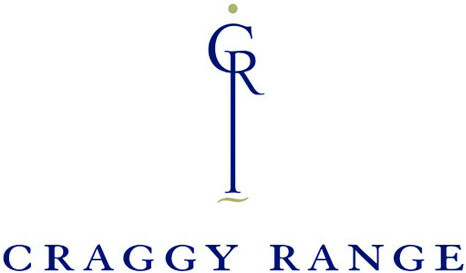 Craggy Range Winery was the successful tenderer. Merlot, Syrah, Cabernet Sauvignon, Malbec, Cabernet Franc, Chardonnay.